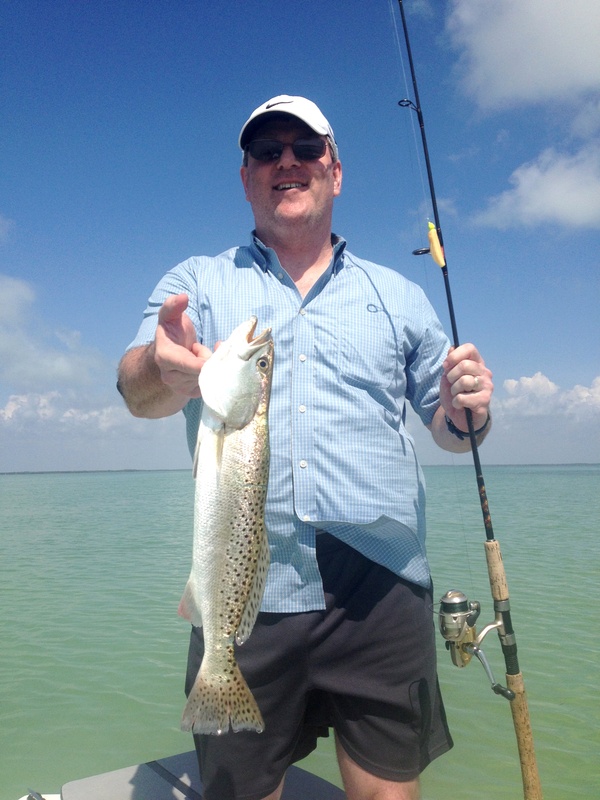 After fishing the flat water in the backcountry around Florida Bay, I’ve decided I’m never going offshore again! Why? Not just because I get seasick on the ocean, but because of the magic and beauty of the backcountry water. 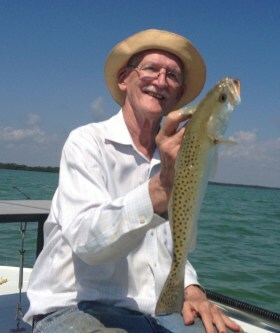 Al & I spent a nearly indescribable day fishing with Captain Dave Perkins (http://www.captaindaveperkins.net/) on Florida Bay. We left the dock at 9:15 and were fishing for real fish (not for bait fish) by 9:30 and had fish in the boat by 9:45. We saw or caught sea trout, blue fish, jack, sheepshead, pinfish, and even one shark. We tried fishing the muds (areas disturbed by feeding fish) and we tried poling for redfish. This part of Florida is so beautiful that I would have gone on this trip even if we hadn’t taken the fishing rods. I’ll be going out with Captain Dave again next year. It’ll be worth the ride just to visit this nearly idyllic piece of the planet again. Dave gets “it”, that it’s about being out in the back country that is the thing. I’d go out there again even if we didn’t catch any fish. But if you go with Dave, you’re likely to catch some fish. I can highly recommend this place and this captain. On a sad note, JT passed away on February 4th, 2016. He will be missed by many.